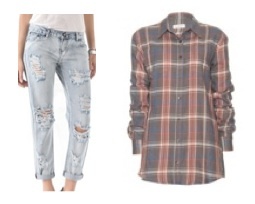 Pregnancy Fashion: 90s Grunge Look is Back! 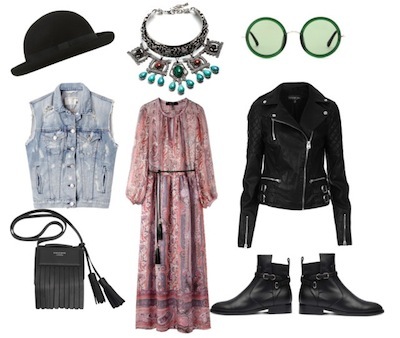 What goes around comes around, the 90's grunge look is back! This is a good thing for you pregnant gals because the "I don't want to try" look is basically all you feel like rocking anyway. This look should be easy to master; get excited for loose fitting dresses, plaid oversized shirts, baggy boyfriend jeans, lots of accessories and flat boots. The 90s wasn't known for fashion, in fact it was thought of as a decade that rejected fashion; the anti-fashion decade, if you will. However, as a child of the 90s, I am excited about this revival. If done correctly, this look can be totally cool and laid back. This time around, however, the 90s look is a little more refined, modern and feminine. Try pairing your plaid shirt with a skinny jean, or your flowy long dress with a tight leather jacket. Throw a beanie on your head and tie a jean shirt around your waist. Take a fashion risks! Fashion is about expressing yourself and not always being in a cookie cutter outfit. Just because you are pregnant doesn't mean you can't try the latest trend...but whatever you do, avoid the scrunchy!